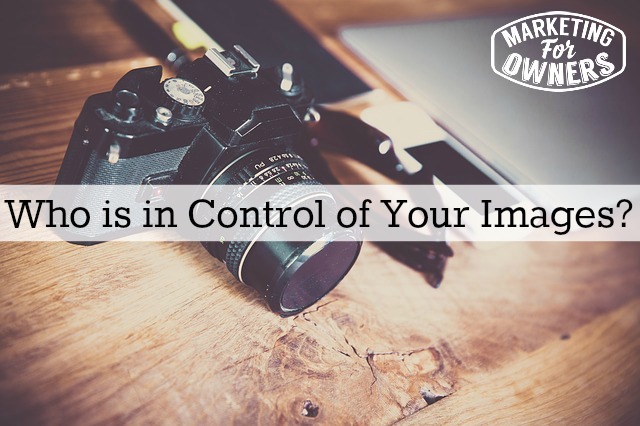 Today we are talking about images and photos you use on your website.This is important stuff — on how to protect those images and finding out who is in control of them. The reason this came up is because on my fire protection online website, we have some special software tucked in the background that tracks when people copy stuff from our website and, more often than not, people copy our images. The other thing is, every now and again, somebody at the company will have a look through Google images and look for ours. Now we take our own, we have our own photographs, and we photographed all the products in-house with a professional photographer or two. They are all ours and they have a distinct edge and we can spot them from a mile off, because they are not the manufacturers’ ones. Of course, that annoys me in the first place when I know they are mine and they are telling me they are not mine, it’s just a bit odd. And what I point out is that the lazy web companies looked at the images on the disk that they actually took for a catalog and not for the Internet. What they got were all back, and dark backgrounds, so they look around the Internet and they find the same products online, and they think, “These are better, I’ll use those” without realizing about copyright, or the fact that they may belong to somebody like me, which is the way it is. So that’s what happens. Now on your website, are you using the correct images? Are you sure? Have you got the rights? Are you using them from a stock photography site that allows you to use them and even though you have paid for them without giving accredit? Are you giving credits when you don’t have to give credits? Are you using images that are owned by a company that belongs to Getty? Because Getty images will make it expensive for you, so much so the threat of the expense and the size of the company is such that you will pay it just in case. You don’t want to waste money on legal. So, there are ways around it. In fact, there are two ways around it. If you look for royalty-free images that you can use in places like Pixabay, one of my favorites, or Unsplash you will find all kinds of great images to use. You can also visit this post here and this post here, where we’ve explained how to use these, and we’ve given a whole list of 15 or 20 sites where you can legally use in whichever way you want a whole range of fantastic photographs. You’ll find something you don’t have to pay a penny for and you’re allowed to use them, that’s what they are for. Do not search Google images and take them from there — they are not free — and they belong to people, and they are copyrighted. Even the people you’re looking at may have stolen it from the original owner. How do you know? When your Web person put images on, ask them to tell you where they got them from and to prove, yes prove that they are royalty-free and that he is allowed or she is allowed to use them. Now you might think, “Well, that’s a bit of an effort for them.” The effort is that they then have to go and check that they are allowed to use them, because do you think they are going to get in trouble? No, you are going to get in trouble, you are the publisher and on your site you’re claiming copyright; they’re not yours, you have stolen them. This can be expensive. You can use your smartphone, a point and shoot, or get all professional and get a DSLR. Your phone generally is a fantastic camera, and even more amazing video capabilities (which I am recording this video, the audio has got a little microphone plugged in, it’s just amazing). You couldn’t do this years ago, and I couldn’t do with my Nokia 3110 because there was no camera on there, but they are brilliant, they are fantastic. There are courses online by people like David Molinaro, and for video by Jaws, and there are also courses you can take on how to use your Iphone for photography. David Molinaro’s course is fantastic, but his free stuff is great and they all use apps and he shows you how to use them. So try it and before you say, “Oh, I’m no good at photography”, just take a photo, because there is basic information out there. Today, it is Thursday and it is time for a drive time podcast and who better than this guy, Cliff Ravenscraft. He is known as The Podcast Answer Man. He has been doing this so long that his podcast, which comes out once a week, is on episode like 417 when I last looked, and that’s weekly, that means he’s been doing it for years. His website is podcastanswerman.com, he knows everything about it, but he’s a successful online marketer, he works for himself, he’s built a business, built a reputation, is an expert and the reason I know he’s an expert is because he tells me he’s an expert. And then when I check him out, he backs it up. And I keep telling you that’s what you have to do. 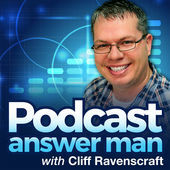 He’s even called himself The Podcast Answer Man, so if you’ve got questions about podcast, ask him. One of the places I go when I want to know stuff and most of his information is free. Go look him up and have a great day. I will see you tomorrow. Where are you getting your images from?